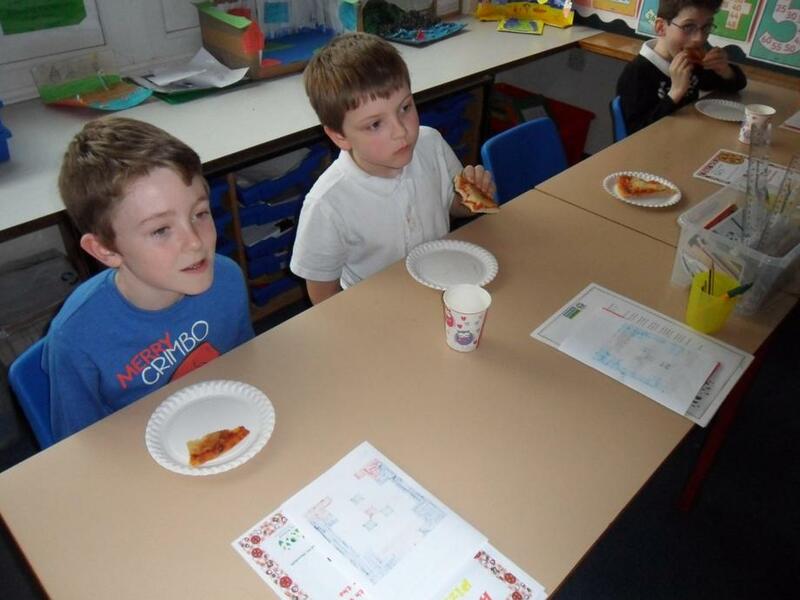 Because of our great attendance over the past term, our class were rewarded with a pizza party. 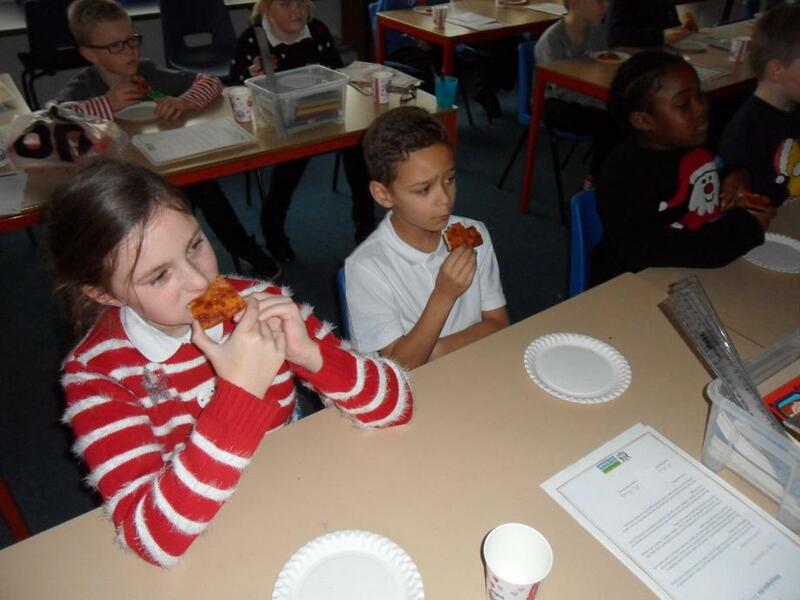 Take a look at the pictures below to see us enjoying our pizza whilst watching a film on the last day of term! 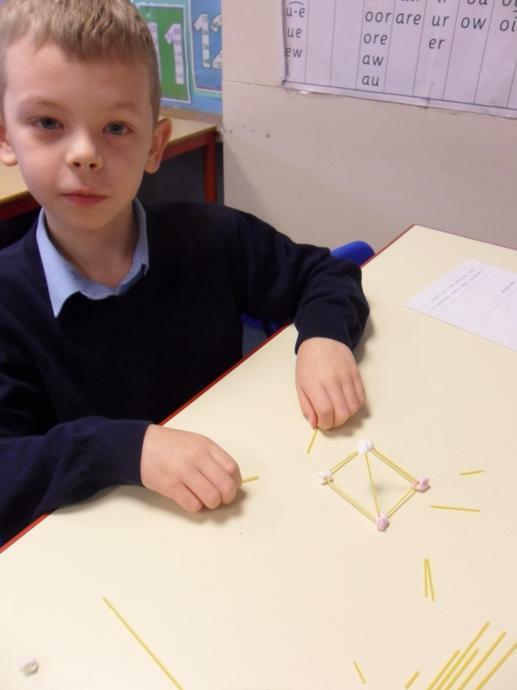 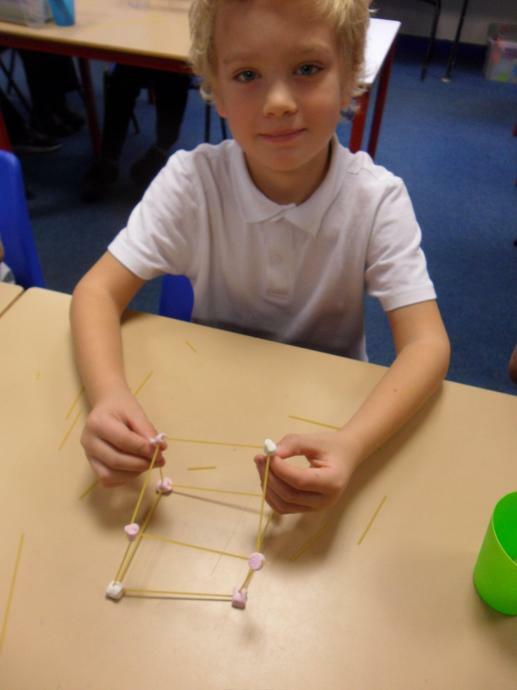 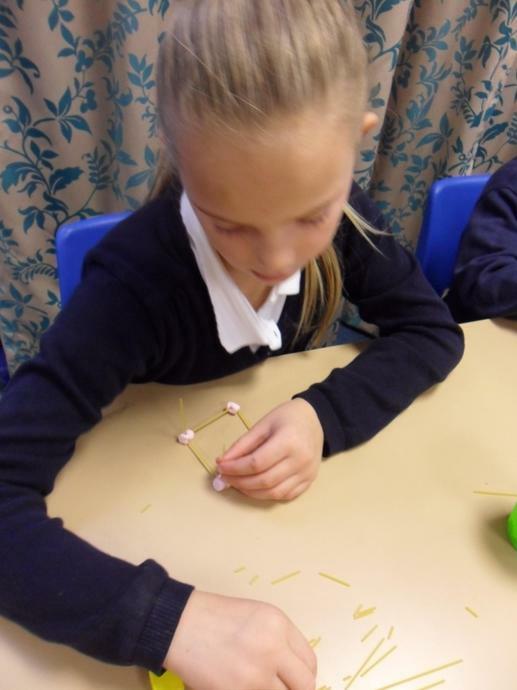 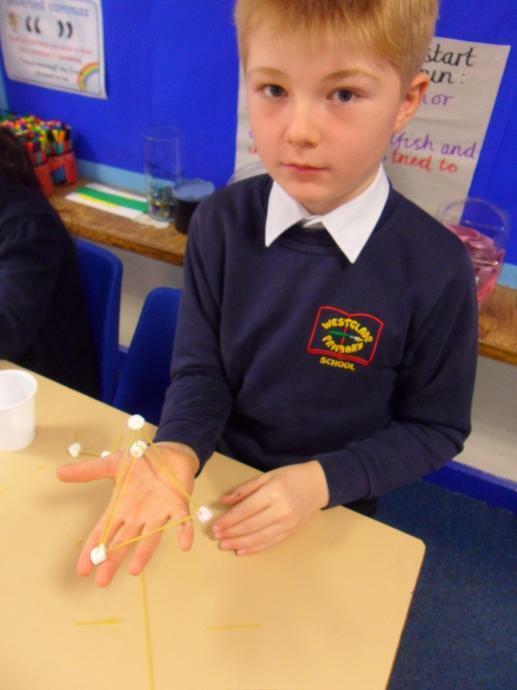 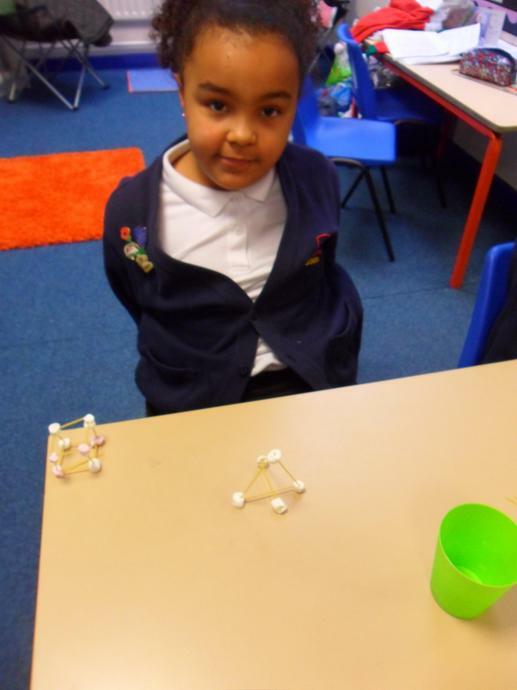 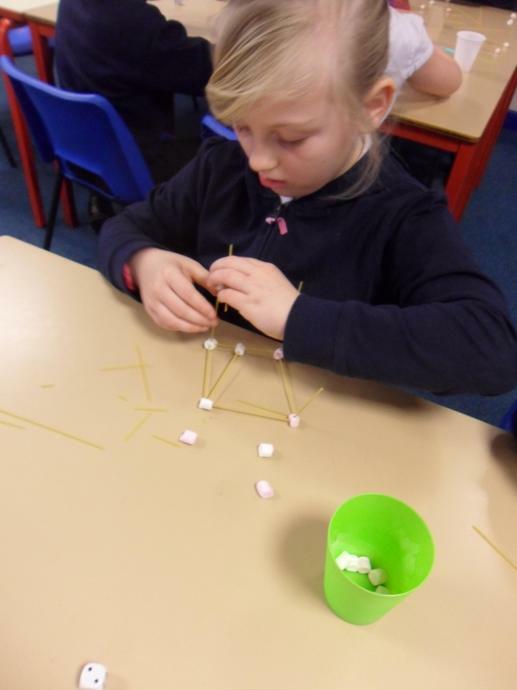 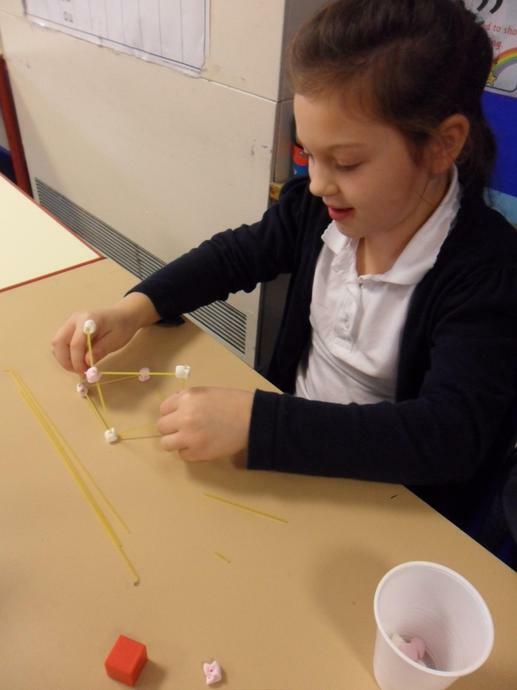 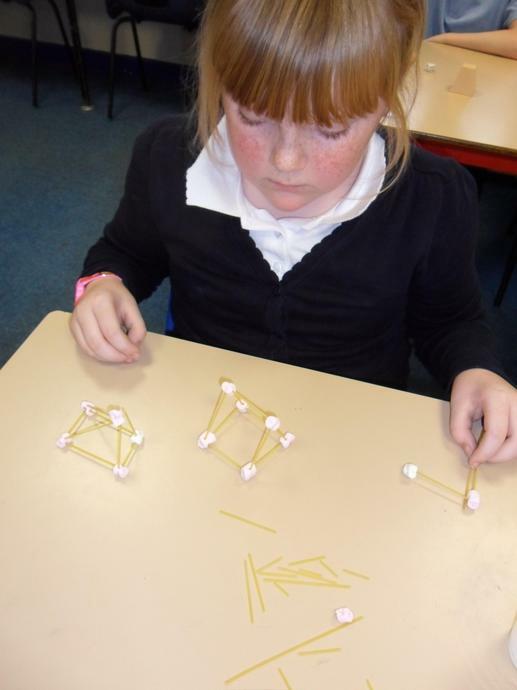 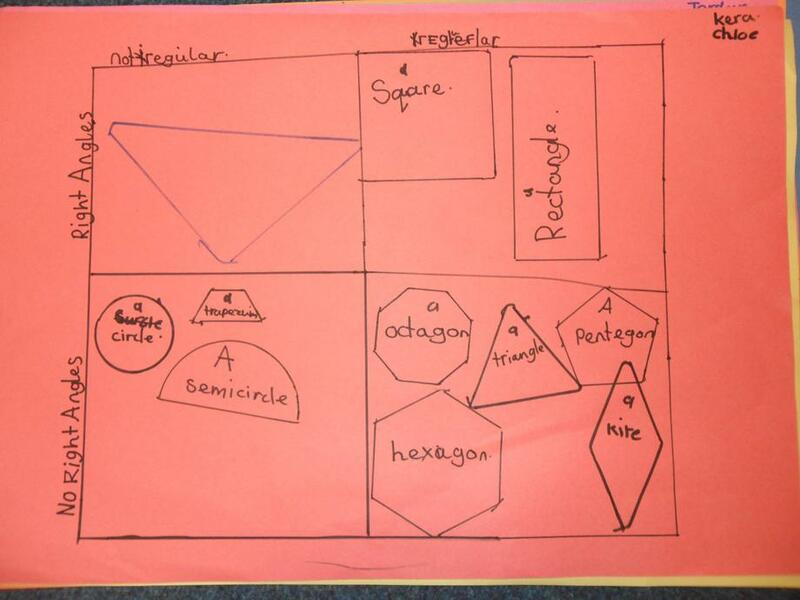 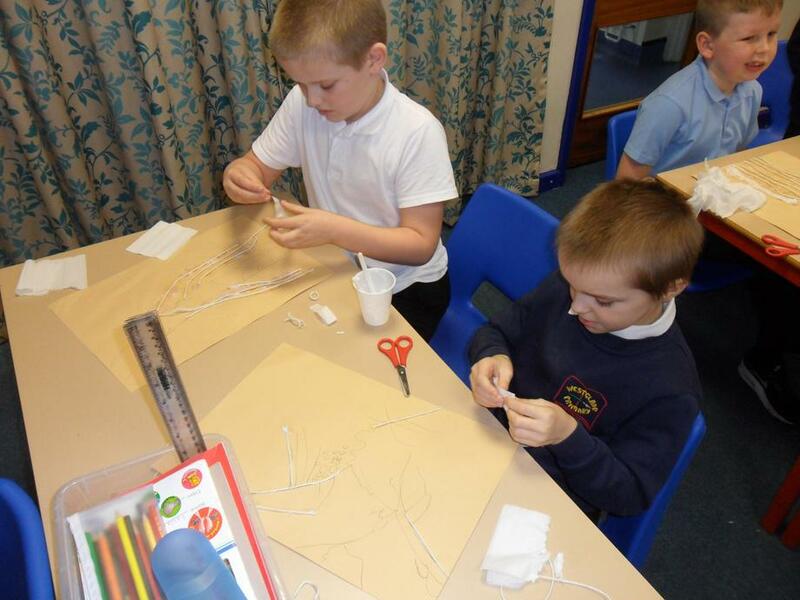 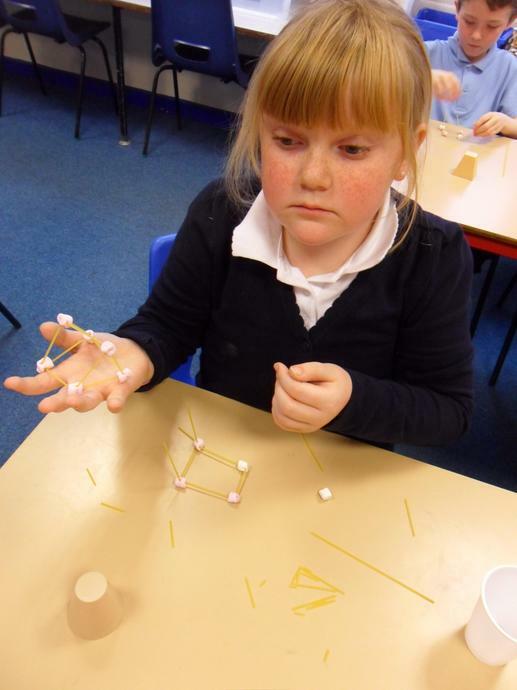 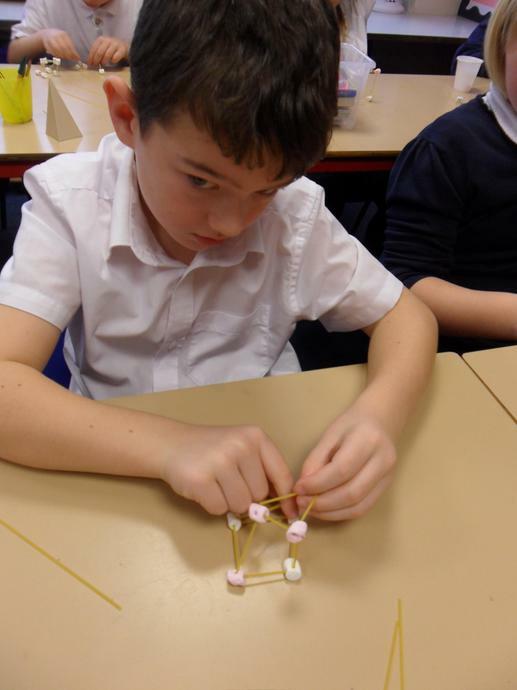 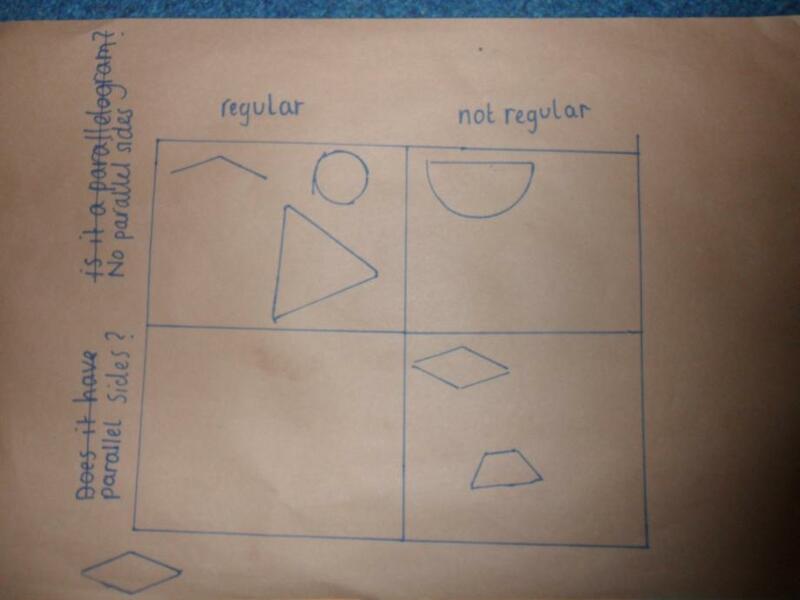 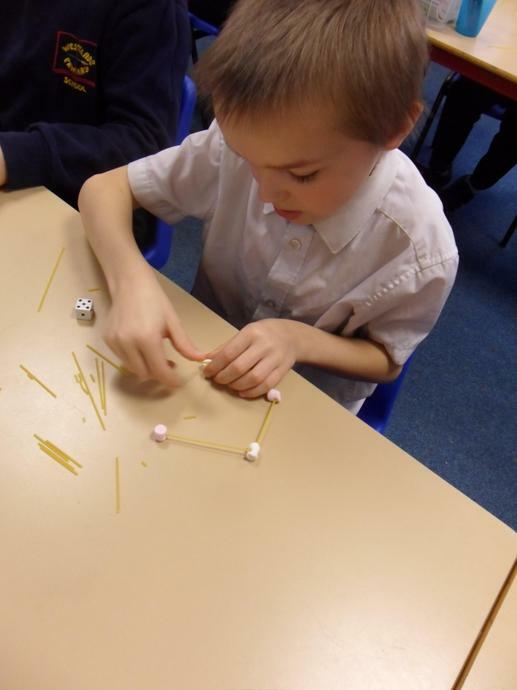 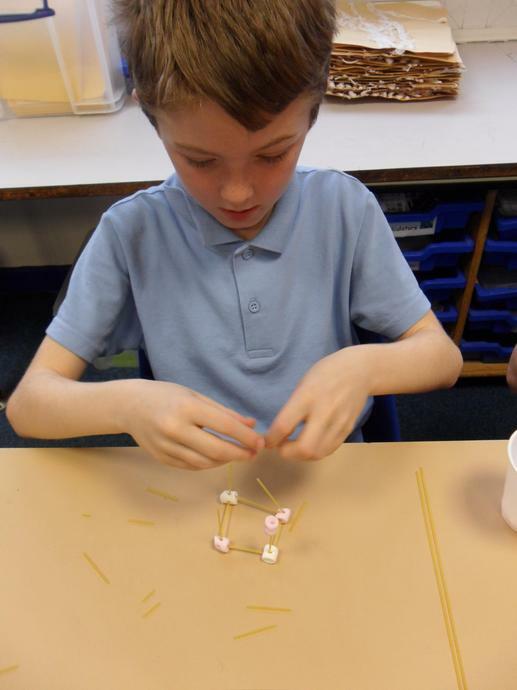 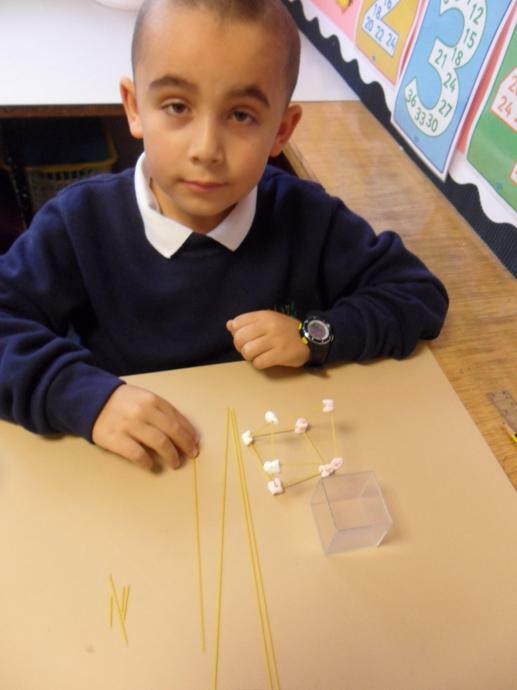 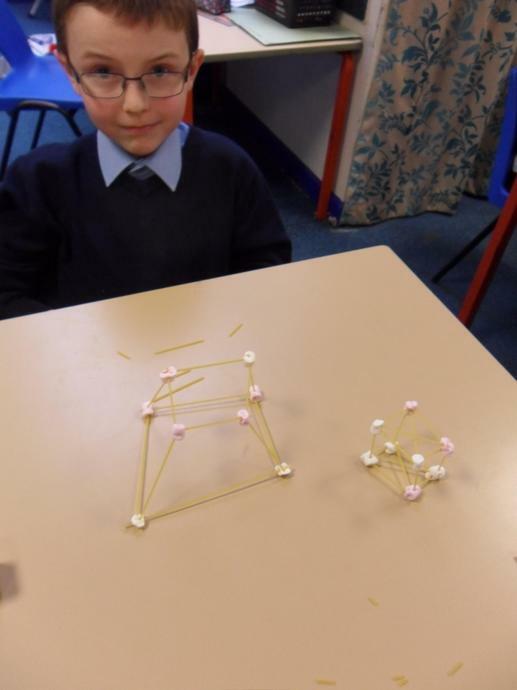 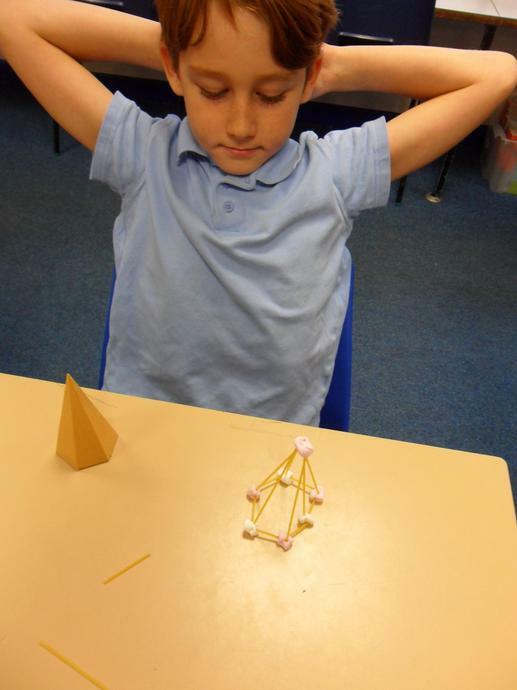 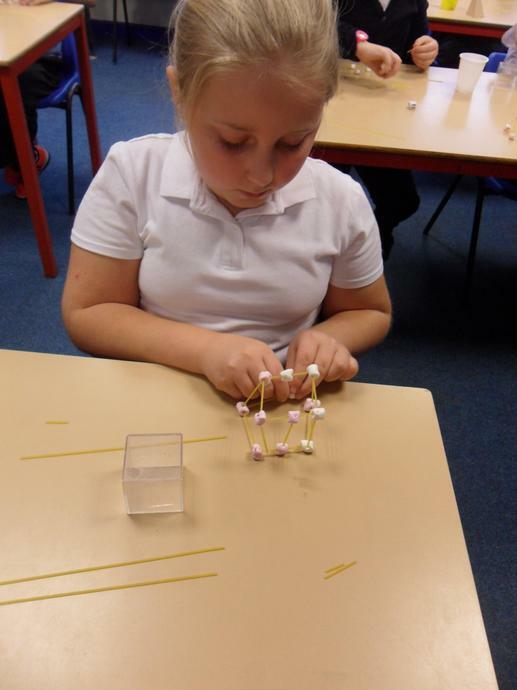 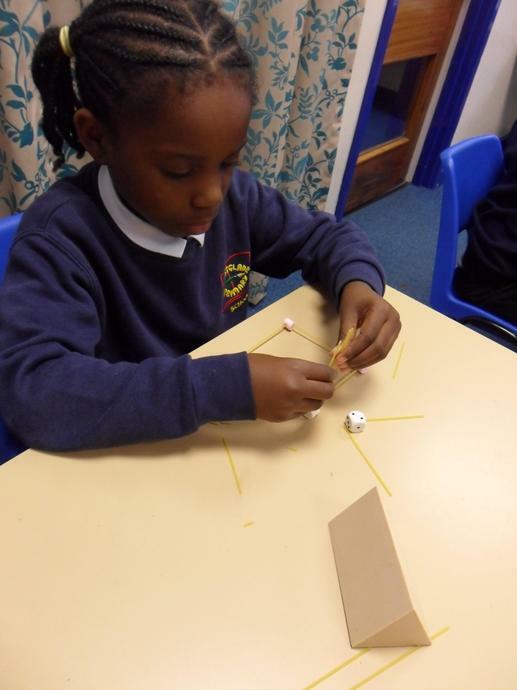 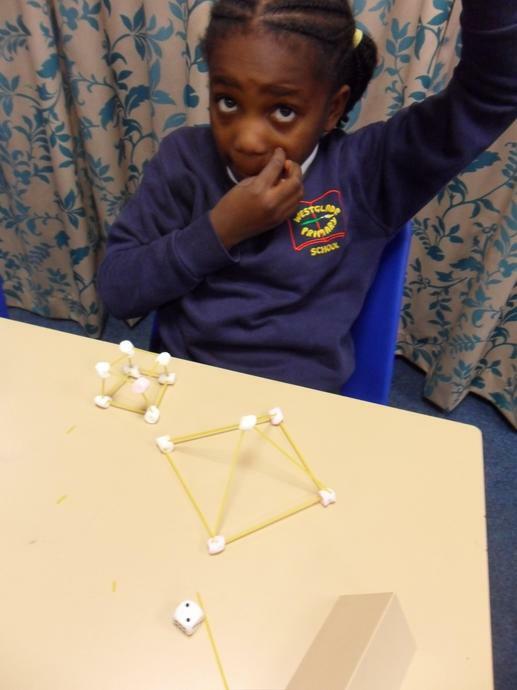 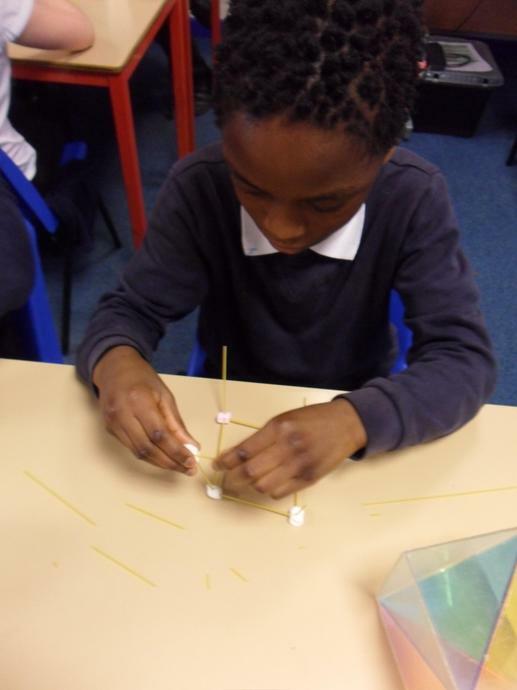 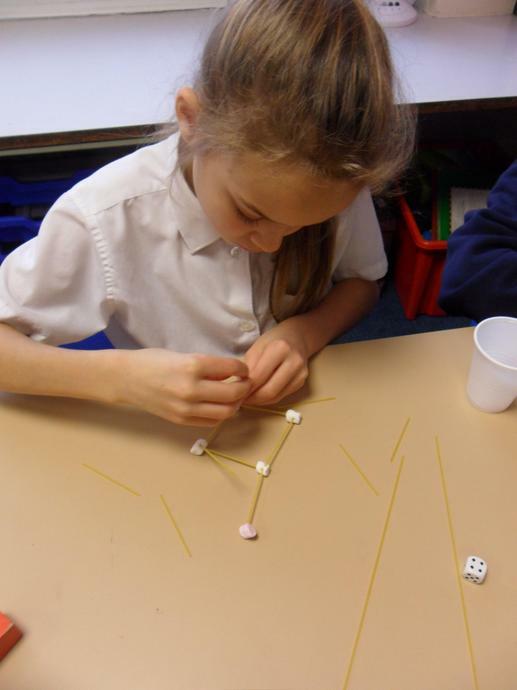 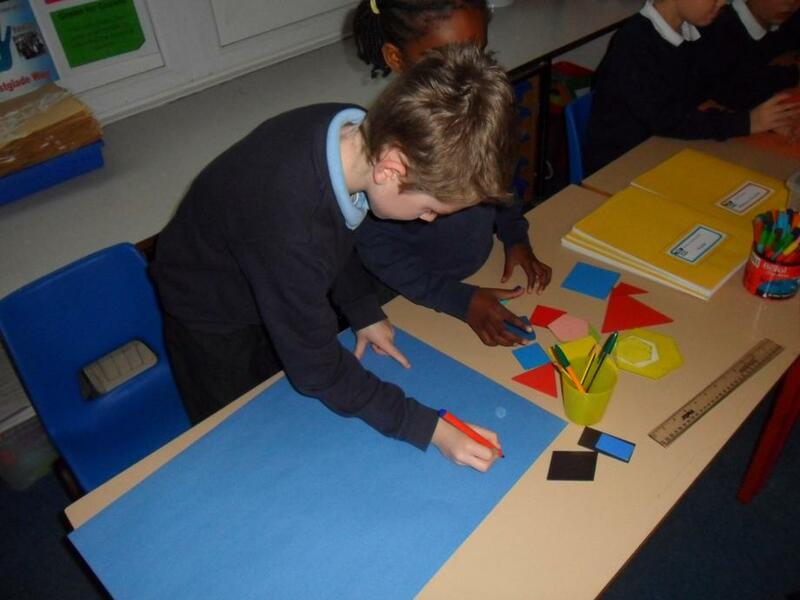 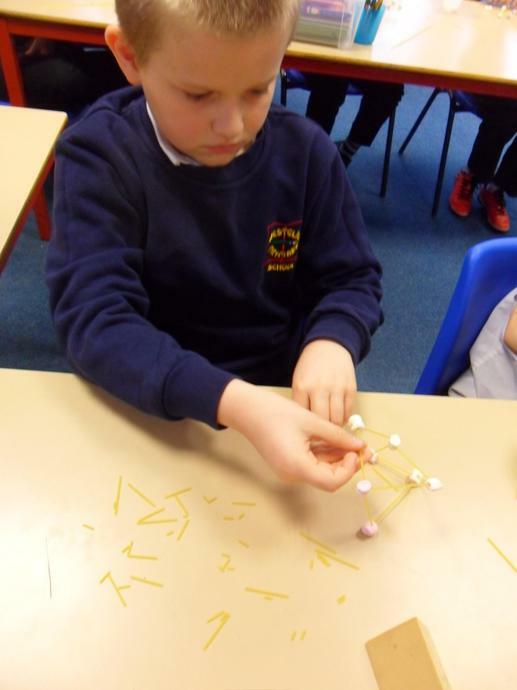 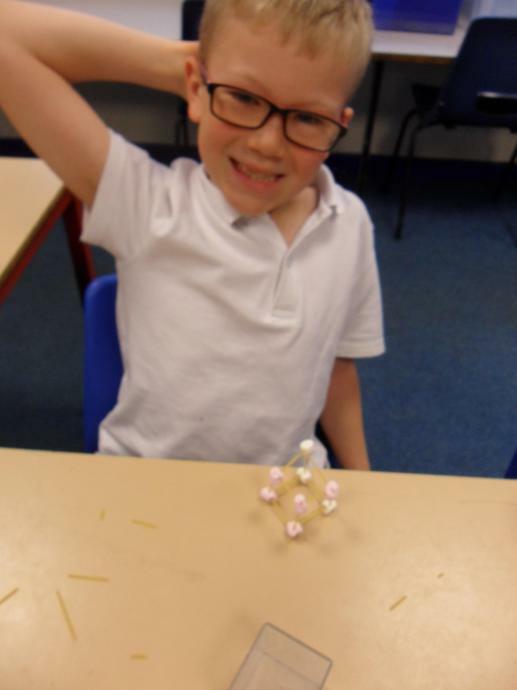 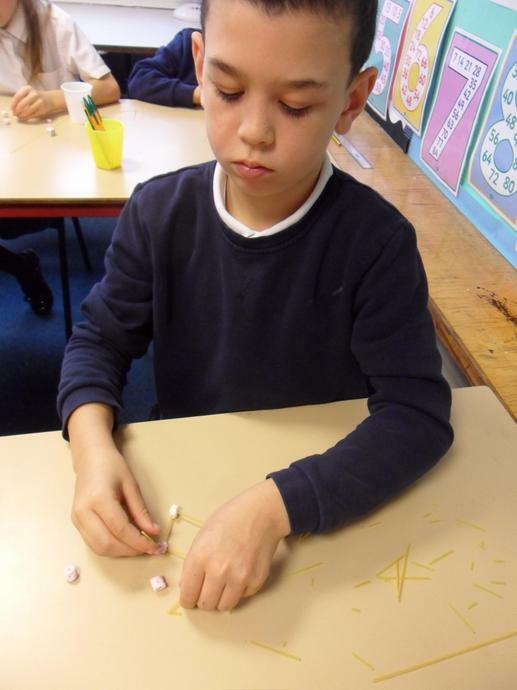 This week we have been exploring 2D and 3D shapes. 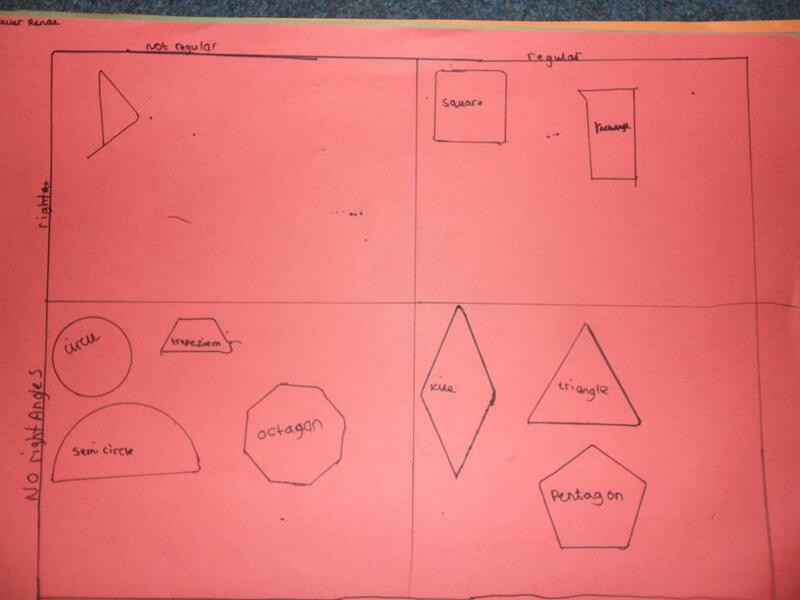 Working with a partner, we had to try and decide how to categorize our shapes according to their properties. 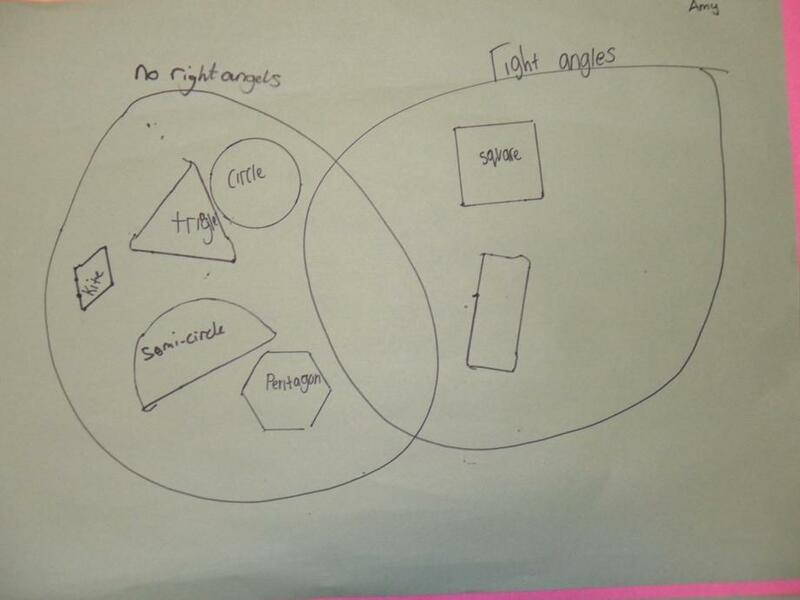 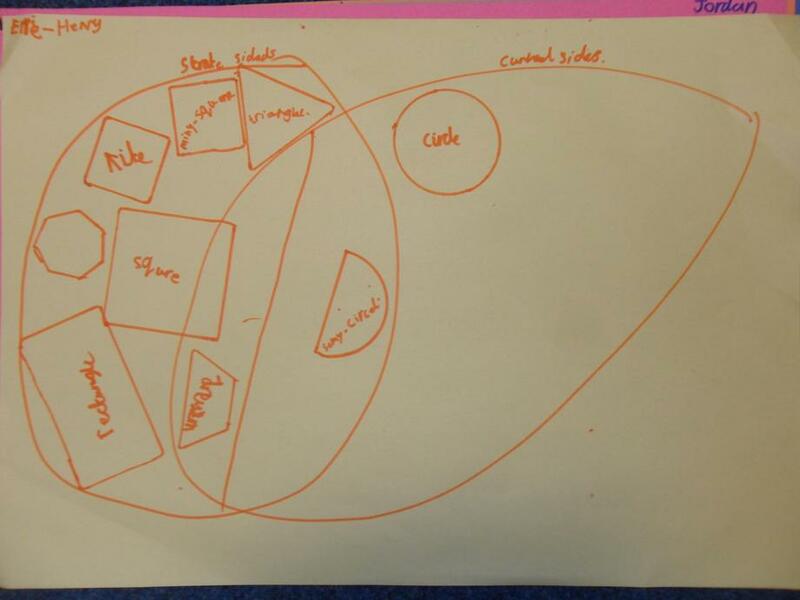 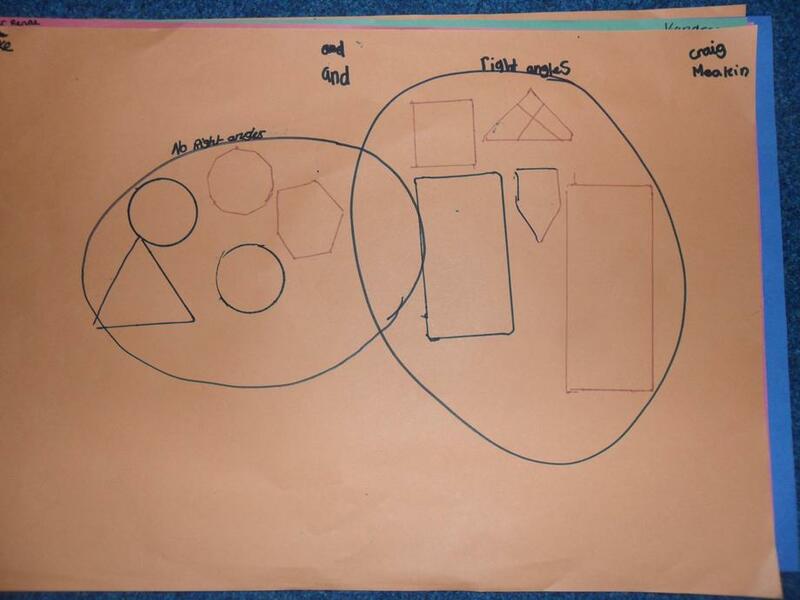 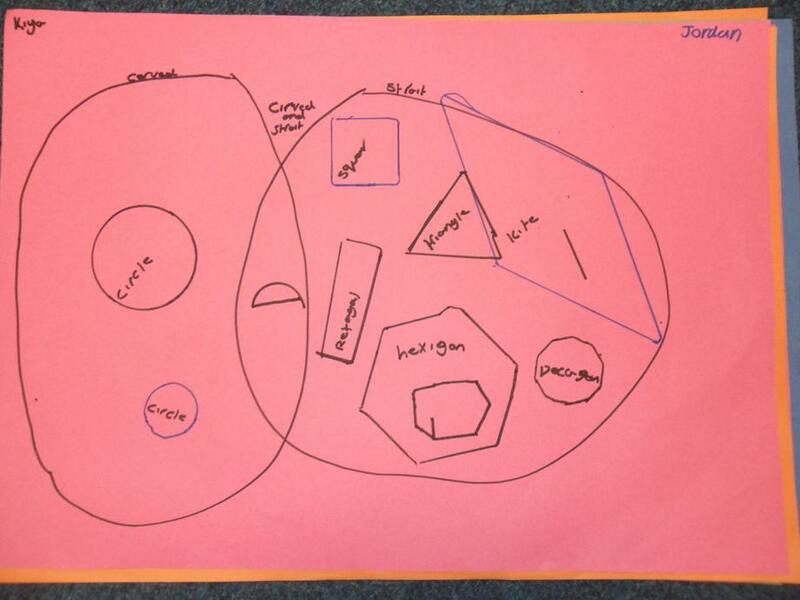 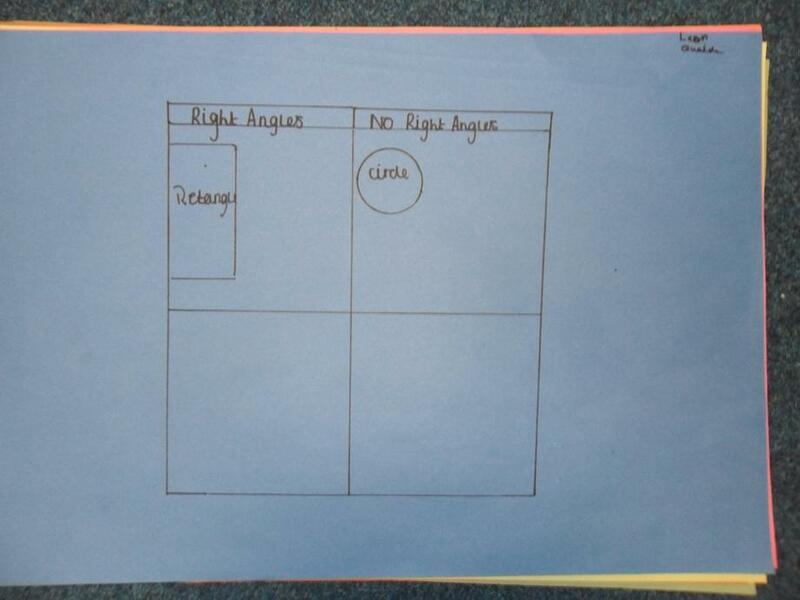 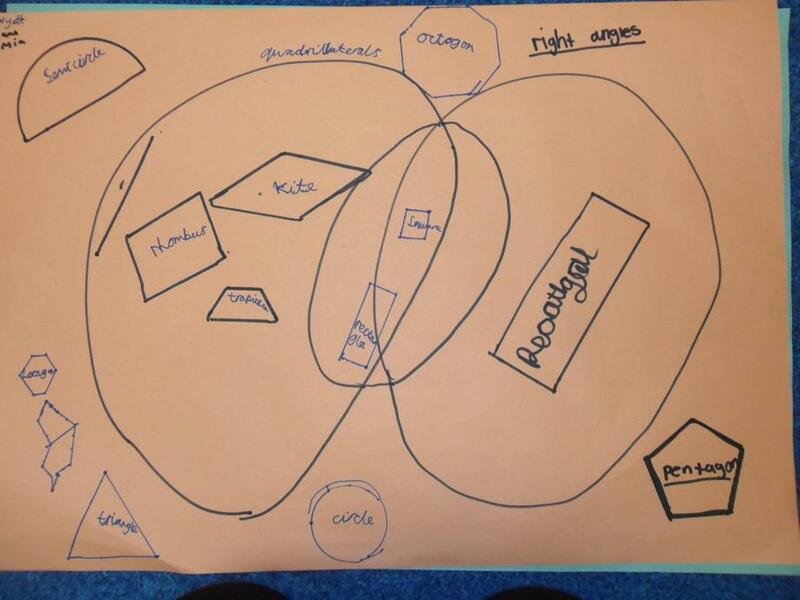 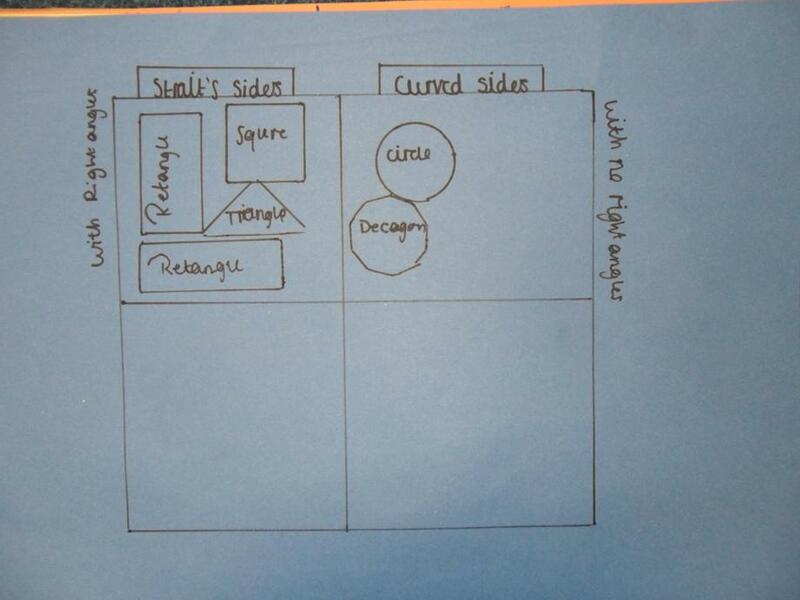 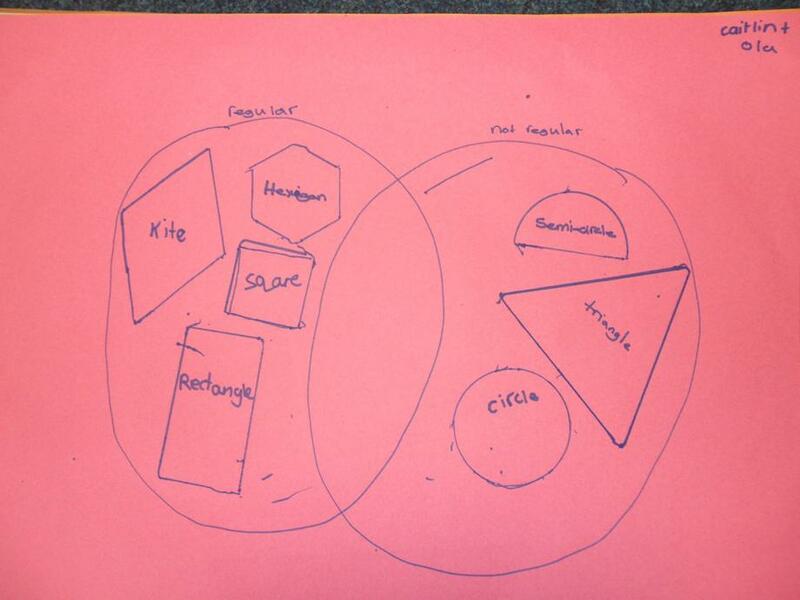 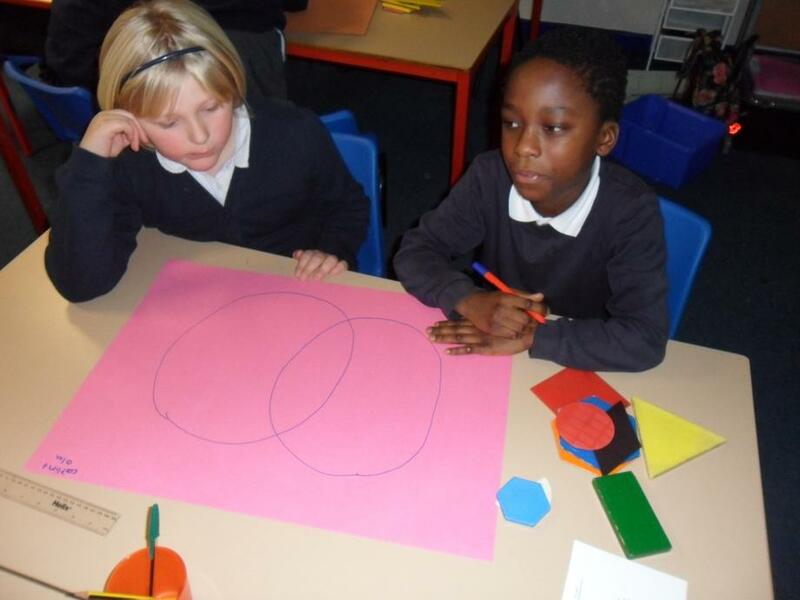 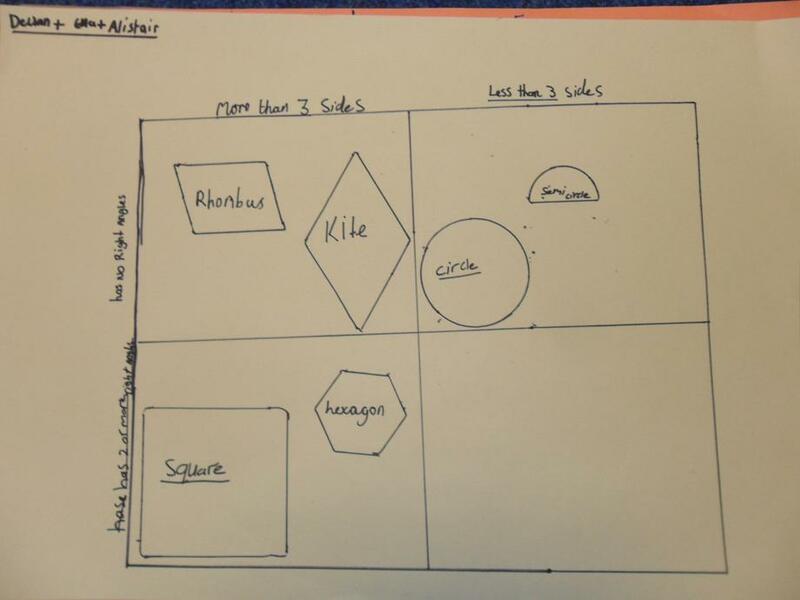 We looked at two different ways of doing this using both a Carroll and Venn diagram. 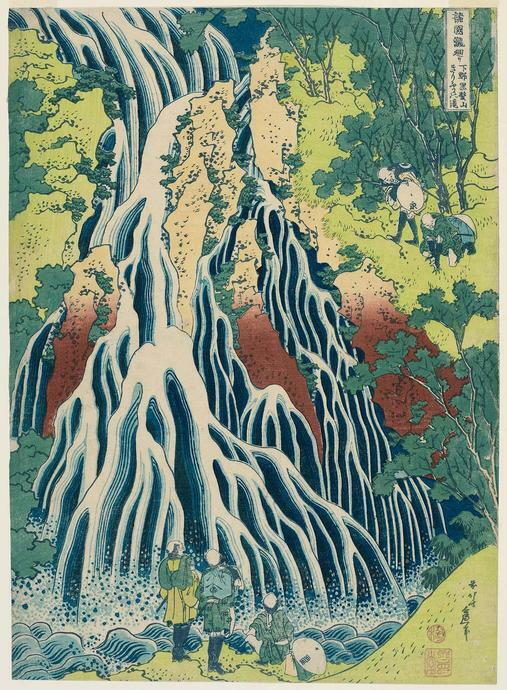 This week we have focused on the work of Japanese printer and painter, Katsushika Hokusai. 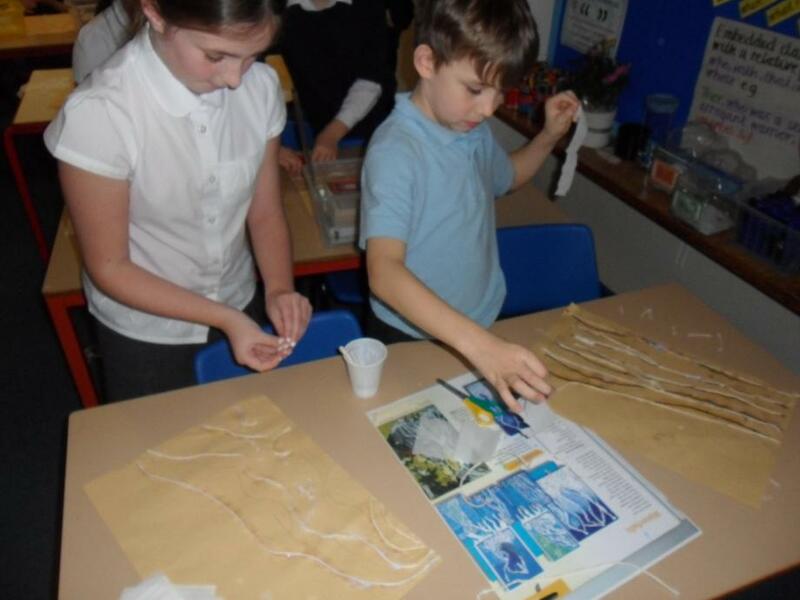 In particular, we looked at a series of his artwork called 'A Tour of the Waterfalls of the Provinces' as we have been learning about rivers and coast as part of our Learning Challenge. 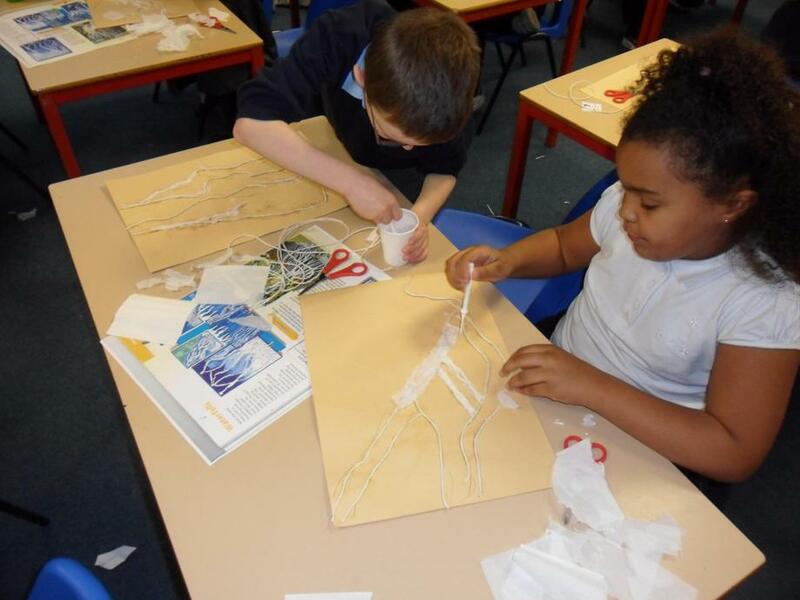 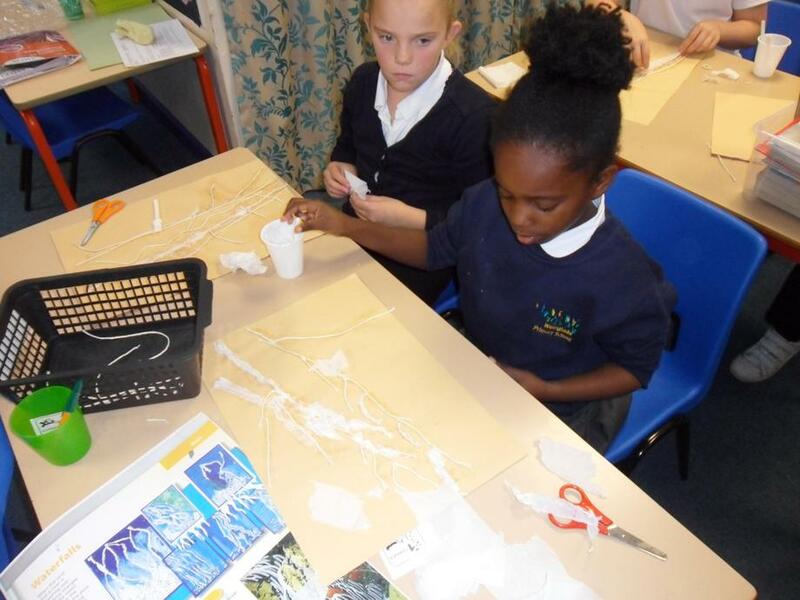 To begin with, we had to sketch our waterfall lines onto sugar paper and then glue string along the lines to create the crests of the water. 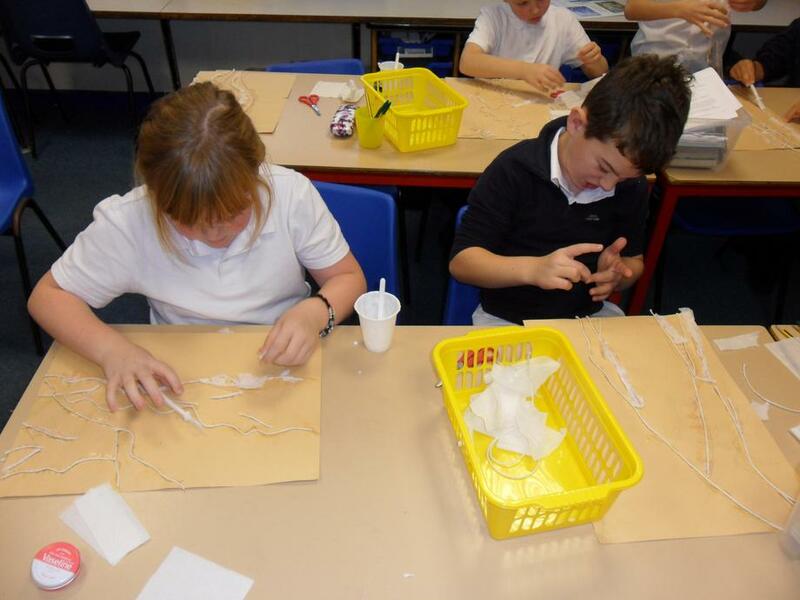 We then covered these in white tissue paper. 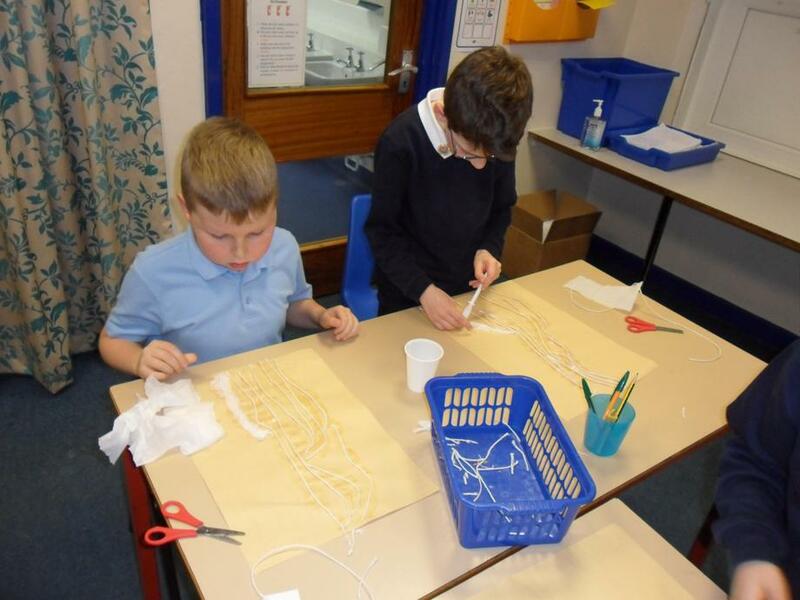 Once finished, we will paint them in graduating tones of blues, greens and whites and look forward to sharing the finished result with you all! 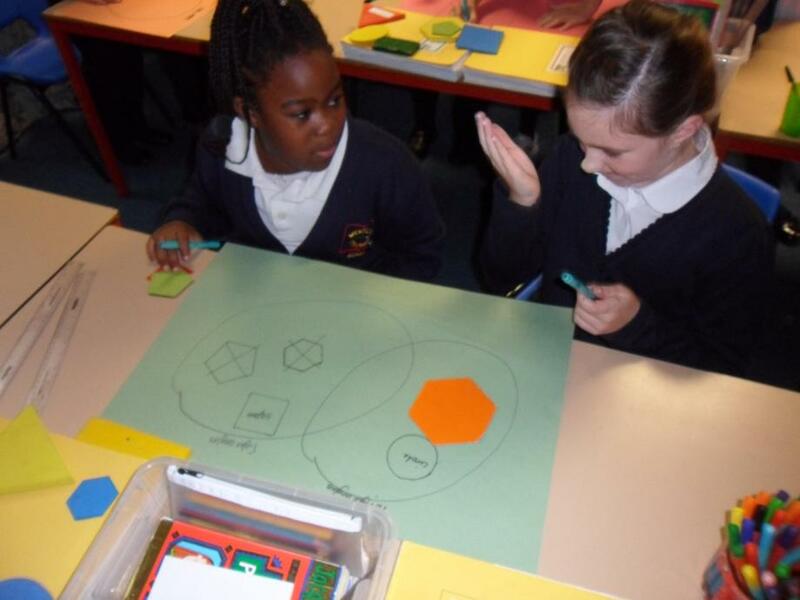 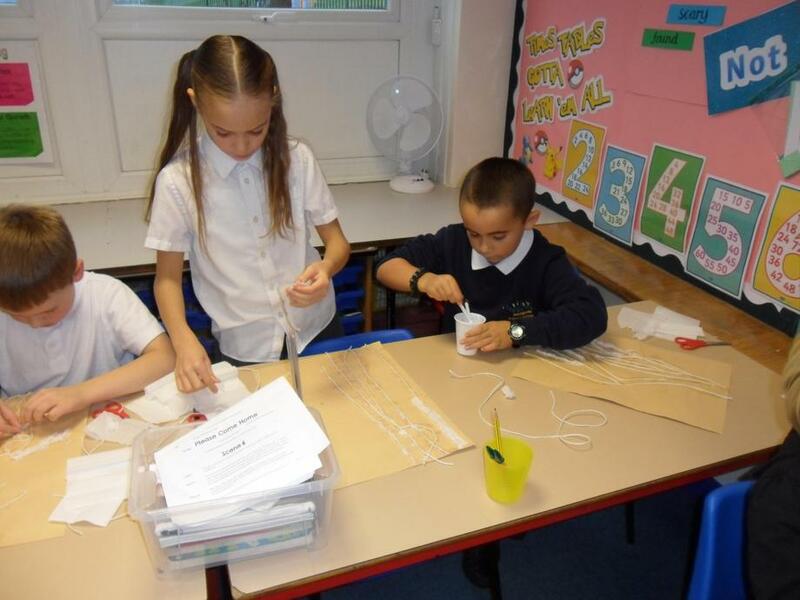 As part of our Learning Challenge work on 'What are states of matter?' 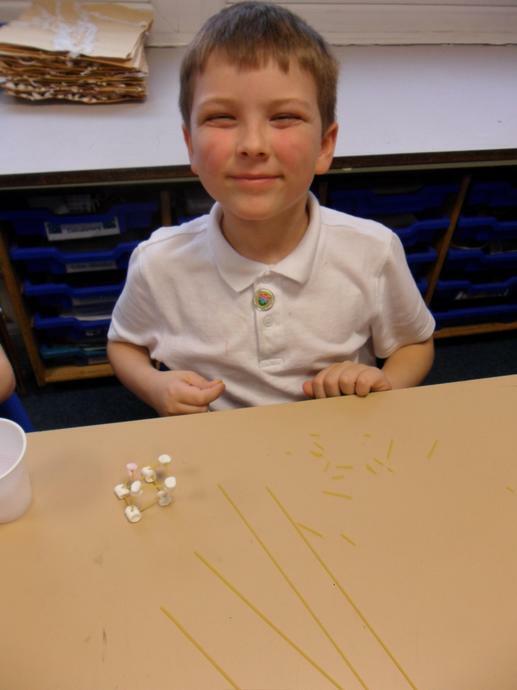 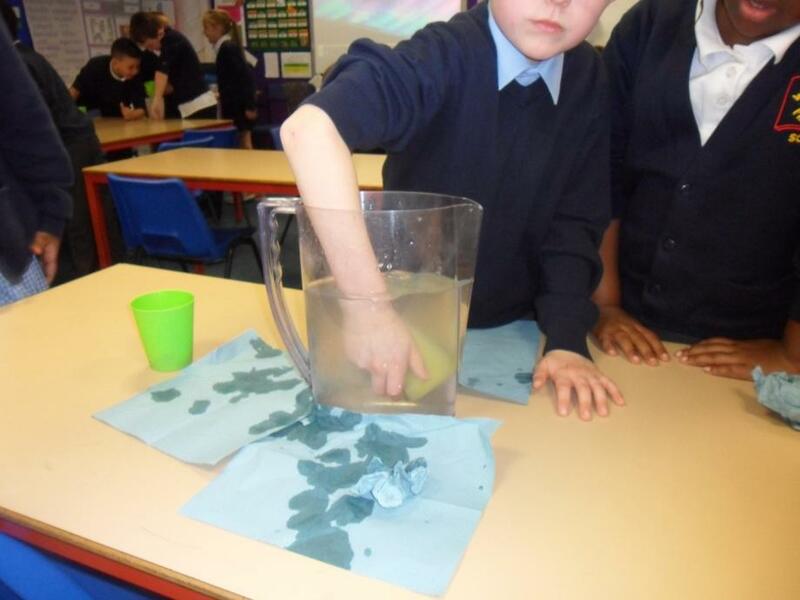 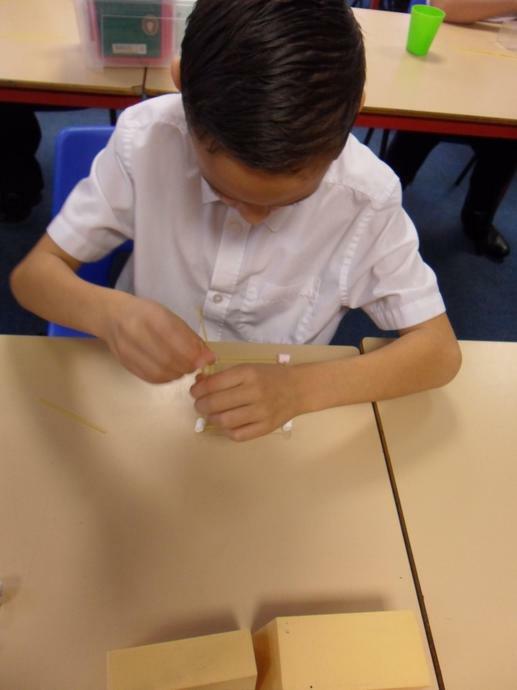 we have been conducting lots of experiments. 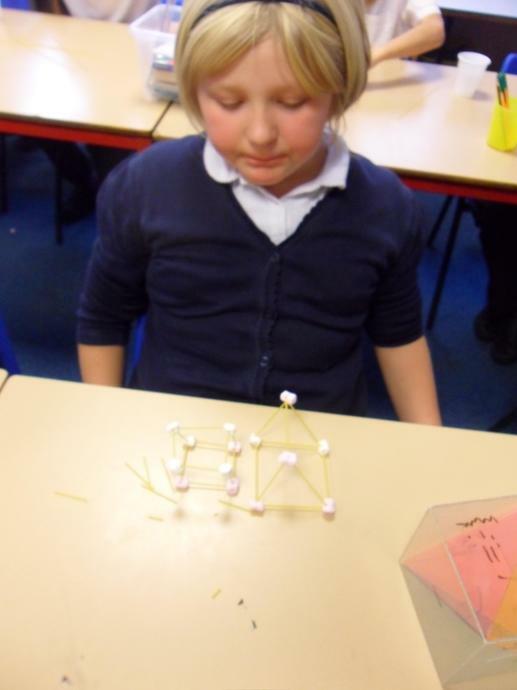 Firstly, we had to prove to Miss Taylor that gases actually existed! 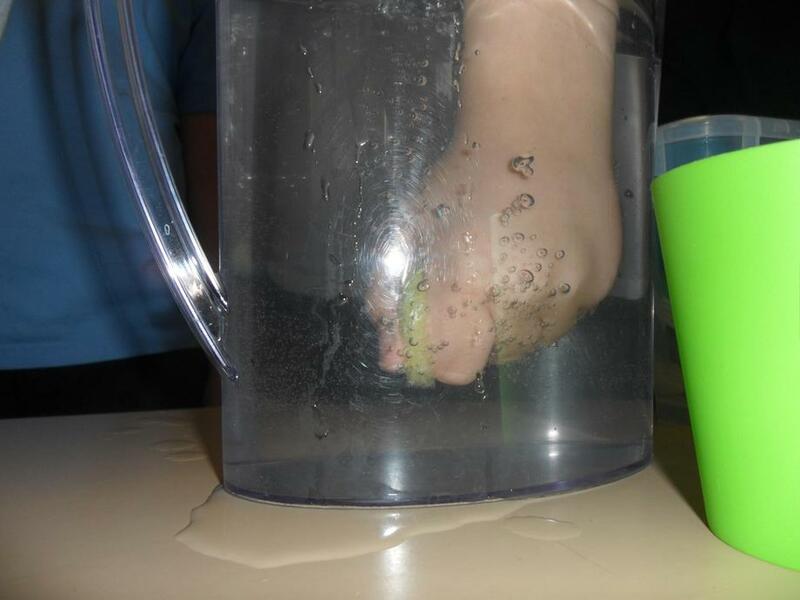 We noticed that when we squeezed a sponge underwater, lots of bubbles were released that floated to the surface. 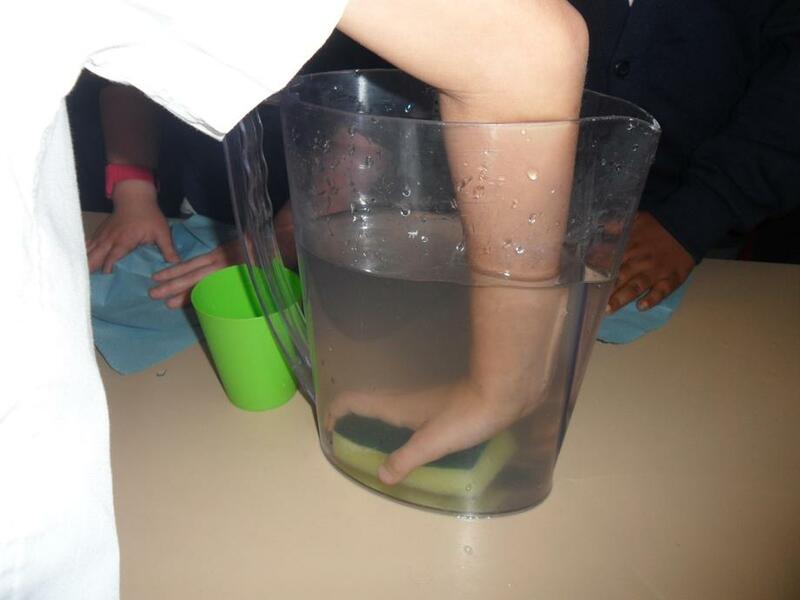 From lots of discussions with our peers, we decided that these were pockets of gas (air) that were filling the holes in the sponge before it was submerged. 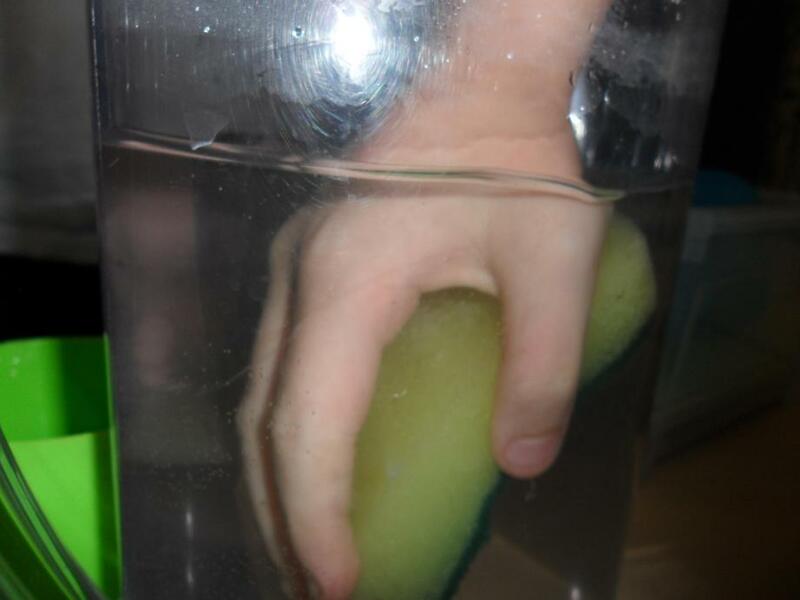 These were then released when we squeezed the sponge and traveled to the surface. 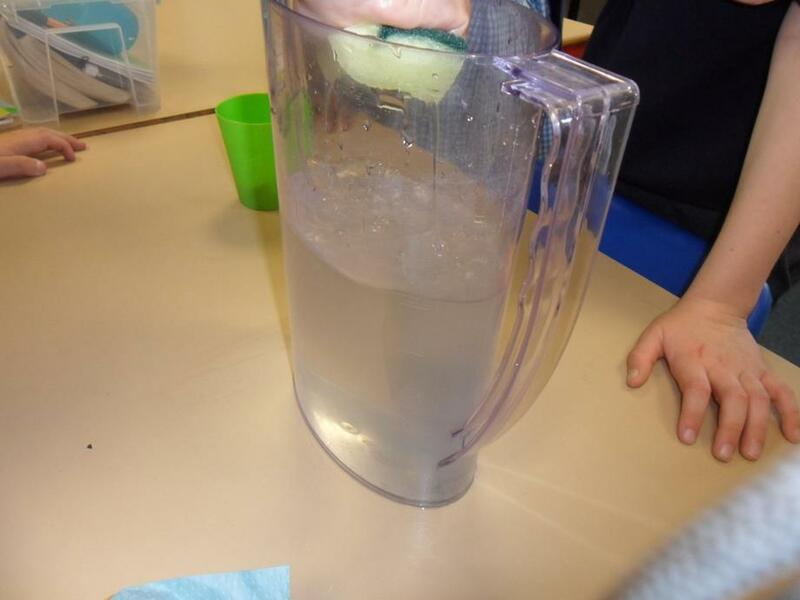 Also, we looked at evaporating and condensing liquids. 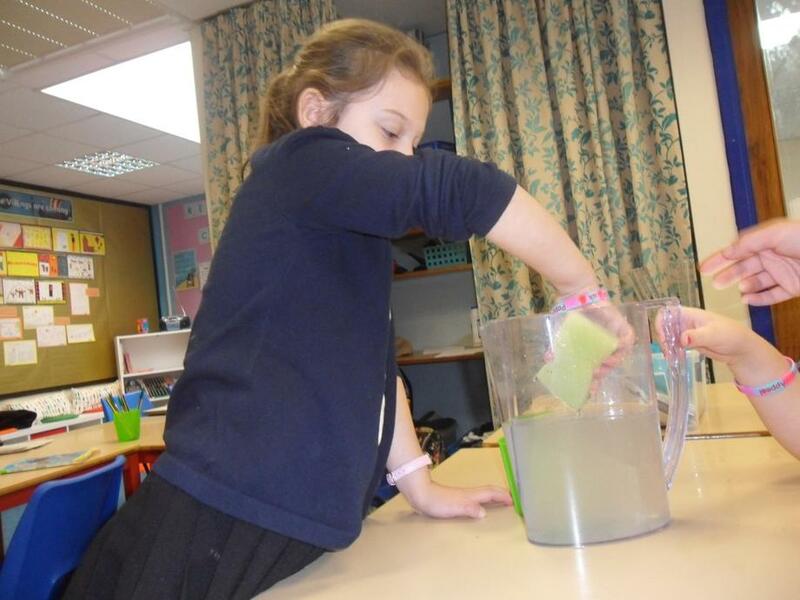 We saw that after boiling a kettle near a cold window, steam was created. 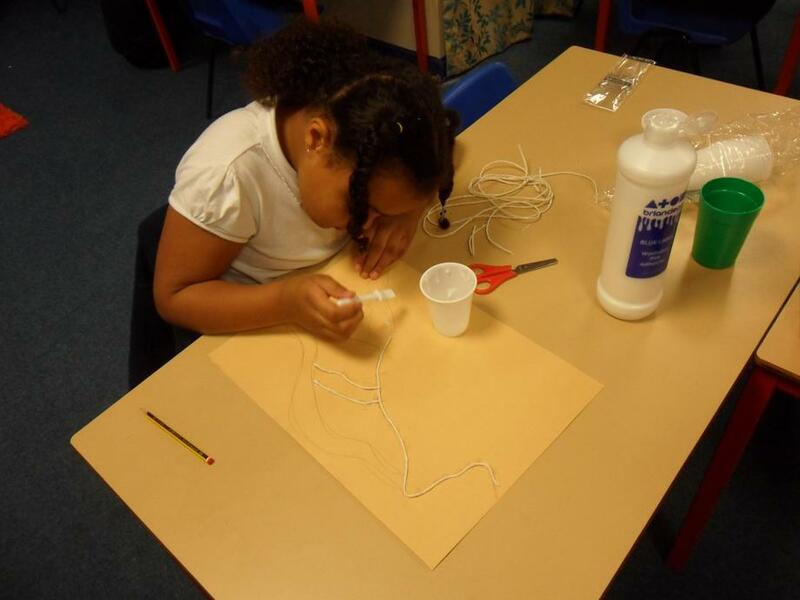 This steam left a white mist in the air which then collected on the window. 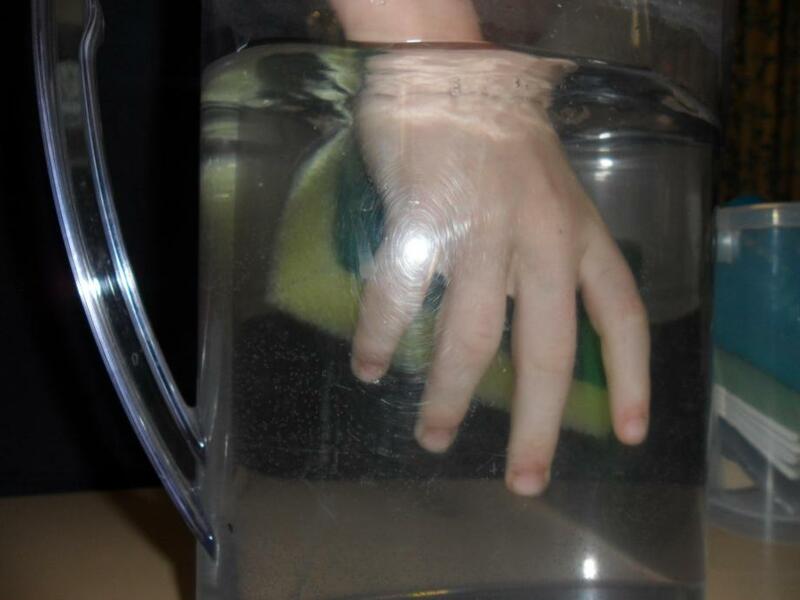 We touched the steam that had formed on the window and it felt wet. 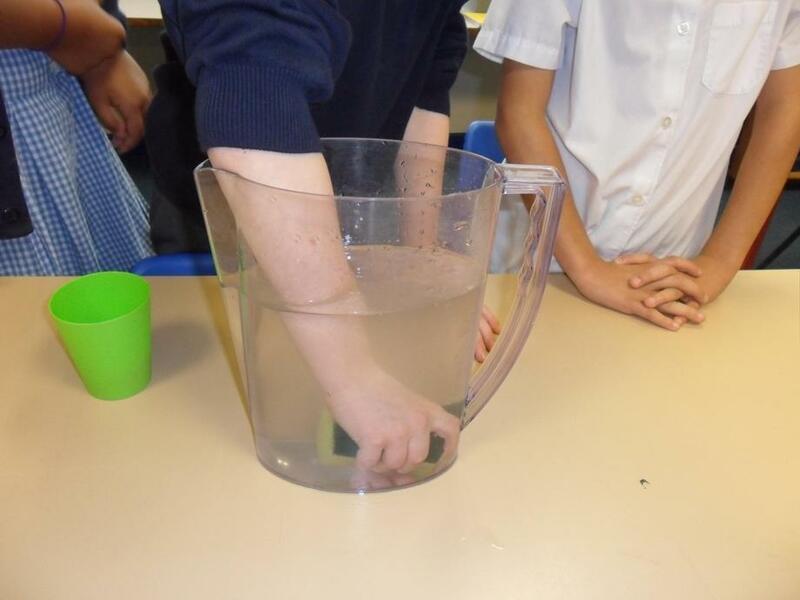 This was water vapour. 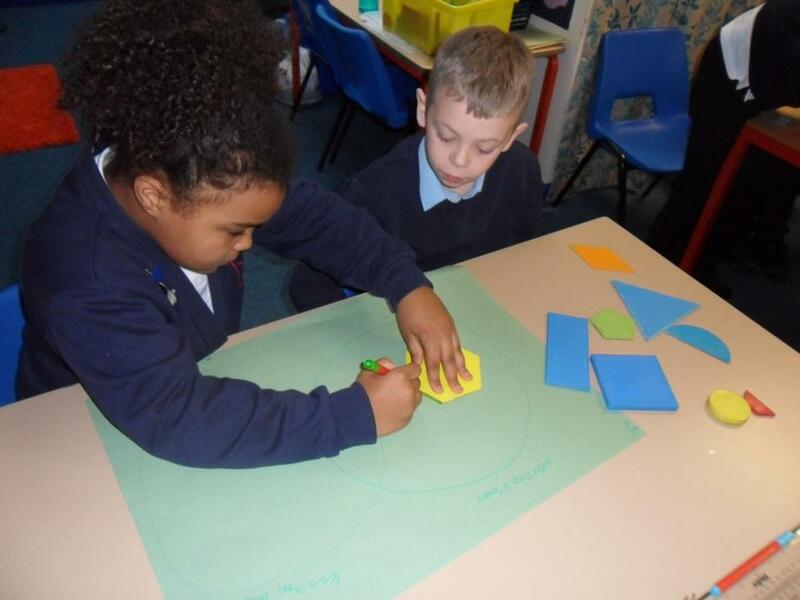 To deepen our understanding of newspaper reports, we had to work in pairs to order the sections of a newspaper, thinking about all of the features we had looked at so far! 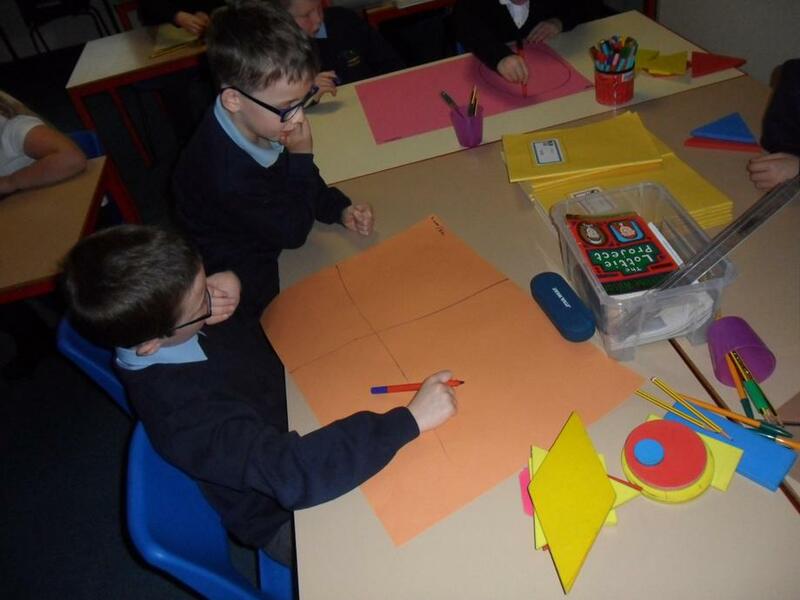 We watched a news report on a dragon that had attacked a local school and then worked together to piece the newspaper article back together in the right order. 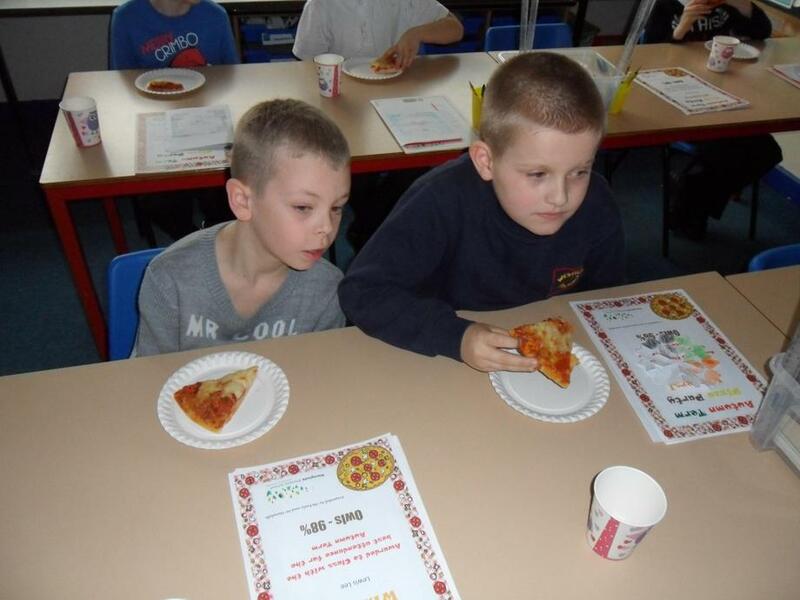 As a whole school we are taking part in the 'Free To Be' campaign. 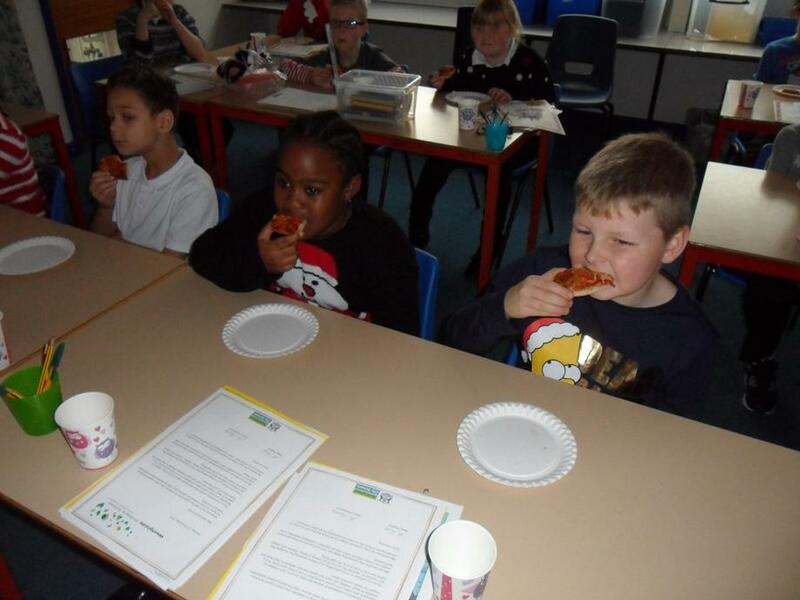 This promotes the fact that we are all entitled to be free to be our own person and celebrates the fact that we are all different. 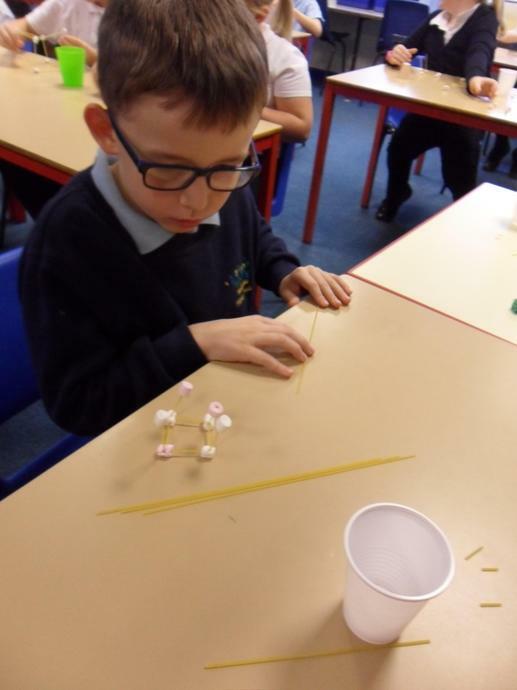 We thought about ways in which we could be kind to ourselves such as making sure we eat a healthy, balanced diet, we get the right amount of sleep each night and we go out and get fresh air and exercise. 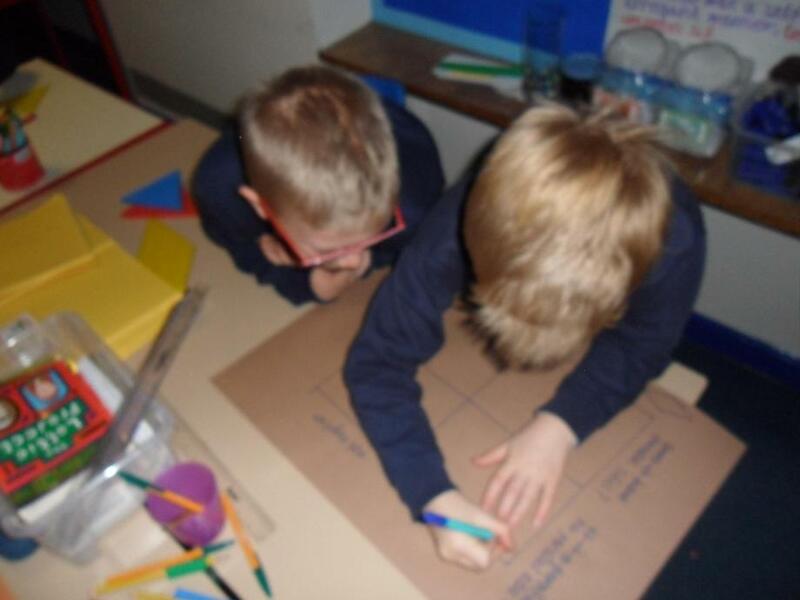 We also thought about how we could be kind to others (adults and children) and kind to our environment. 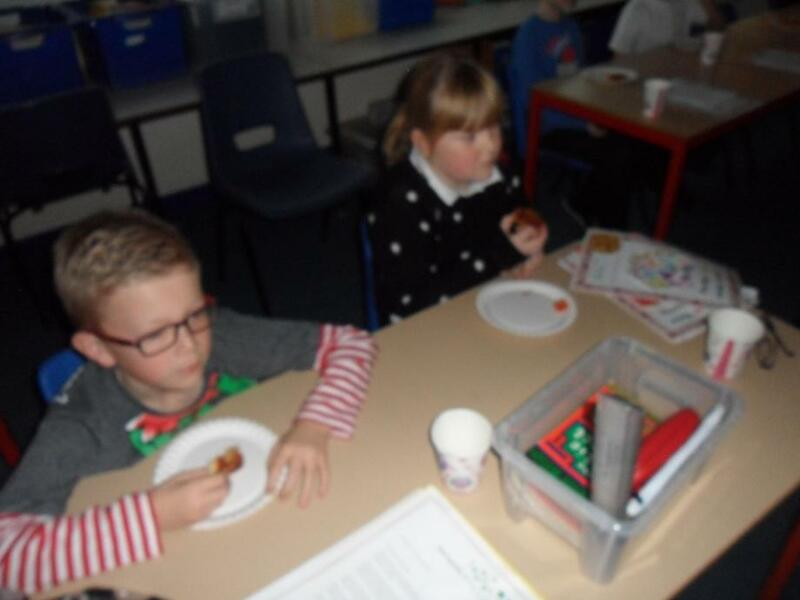 When we got back to class we nominated children and adults around school and also from home who we thought showed this attitude all of the time. 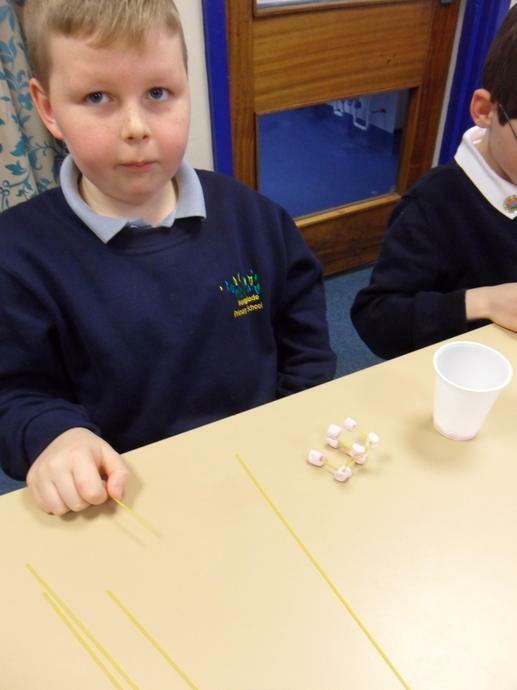 We filled in tokens to give them and presented them with these on Friday afternoon! 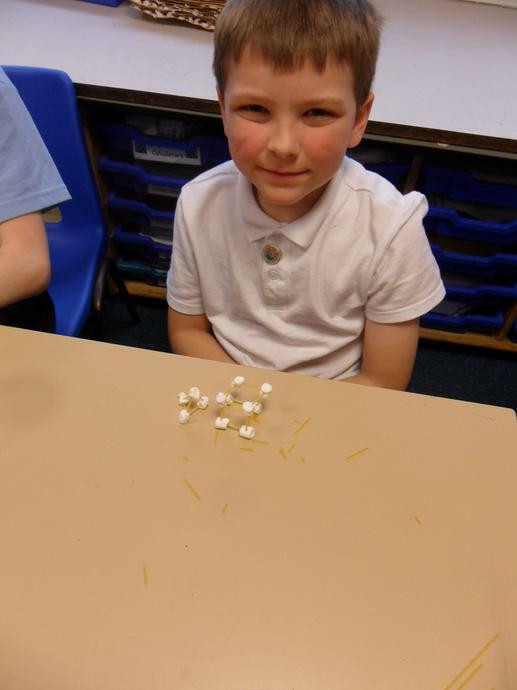 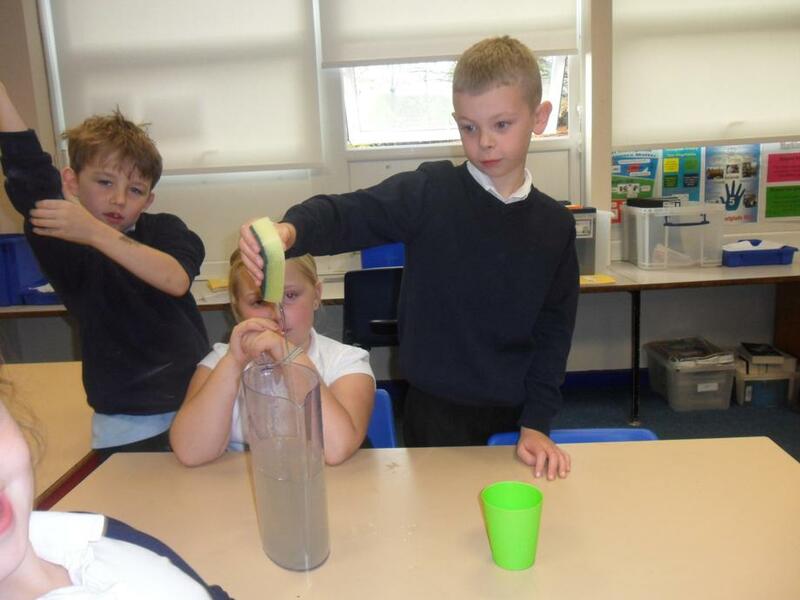 In Science we have been looking at States of Matter. 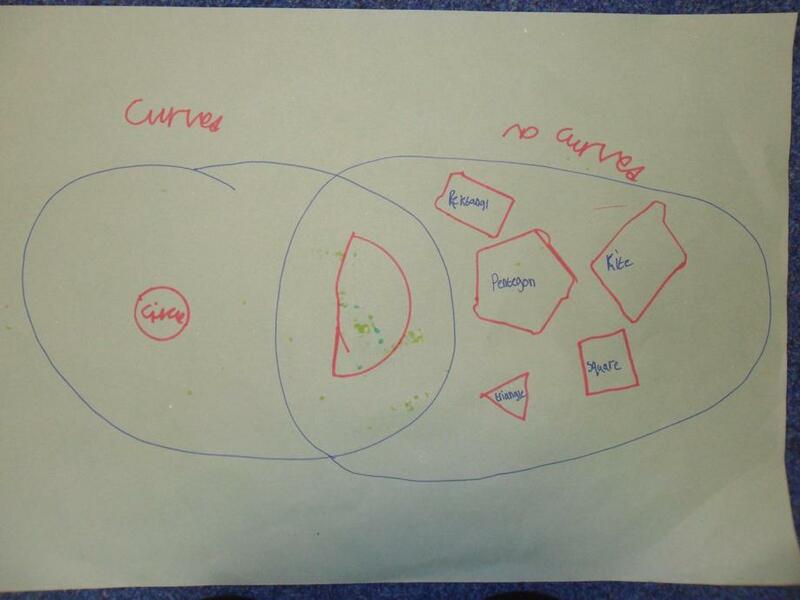 On Thursday, we had to prove to Miss Taylor that gases exist. 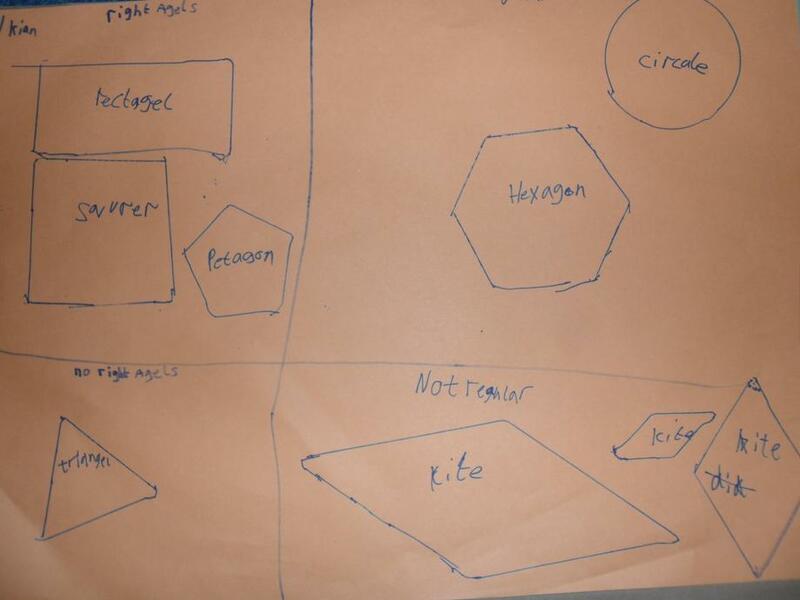 We also thought about how we use gas in everyday life. 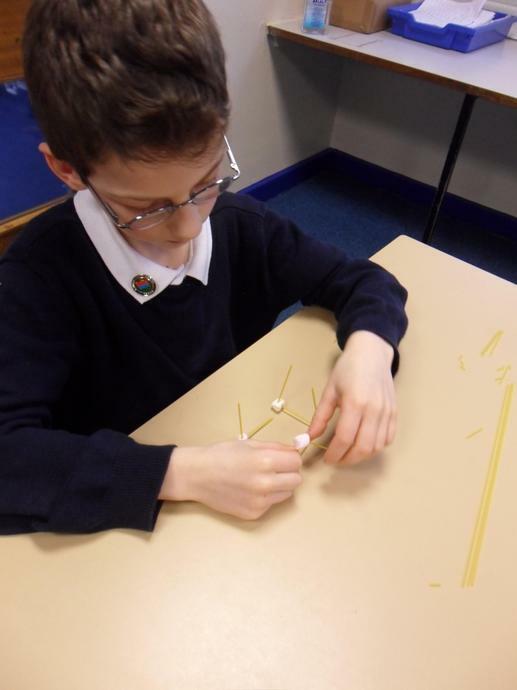 For the past fortnight we have been looking at Newspaper Reports linked to our Learning Challenge question for this half-term. 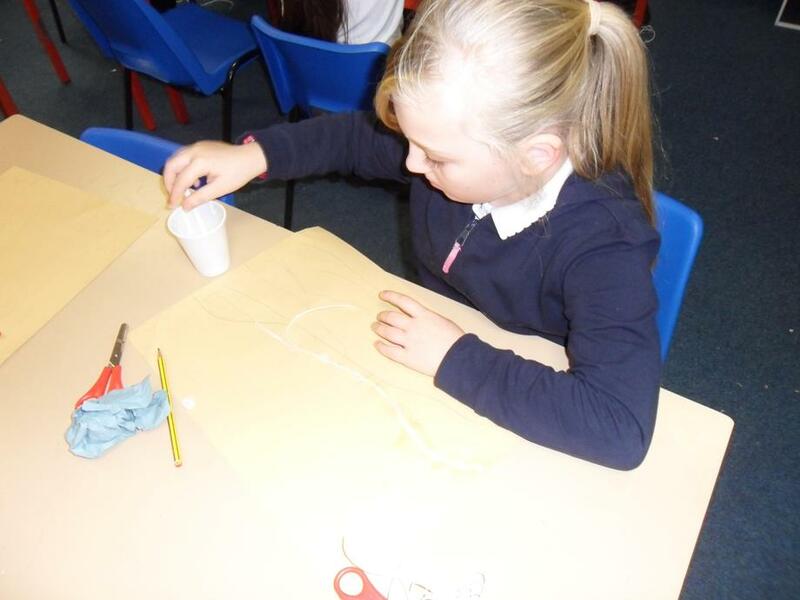 We have been learning about the disaster that happened at Hallsands in 1917. 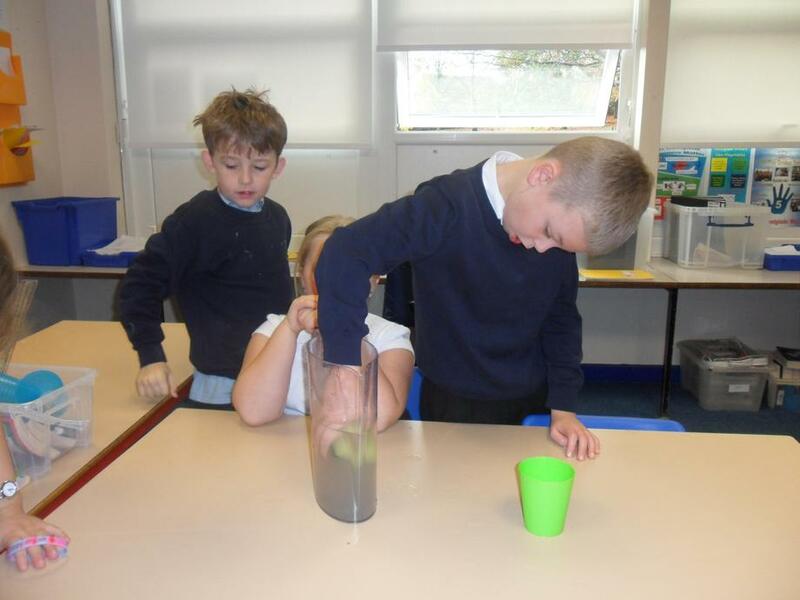 We found out that an entire village was swept away into the sea due to a combination of unusually high tides and a strong South East gale. 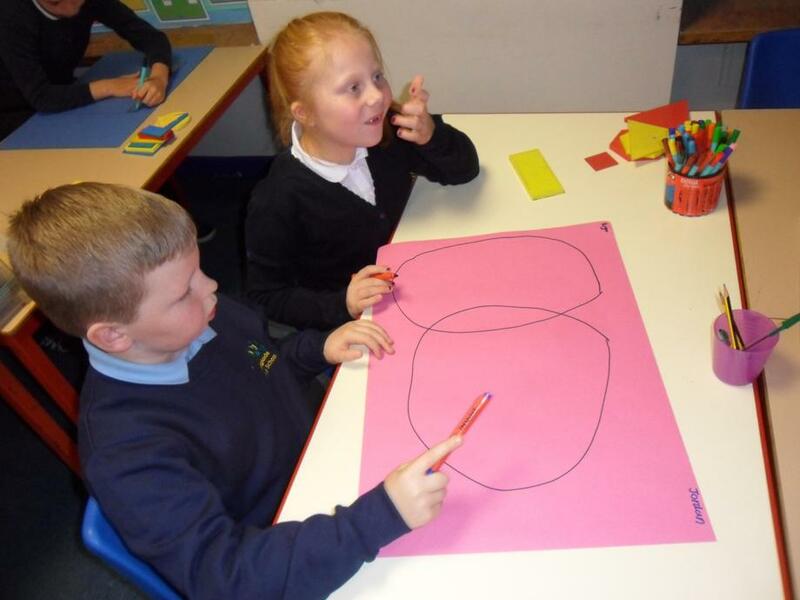 We highlighted the key features of the text and then we pretended we were present at the scene. 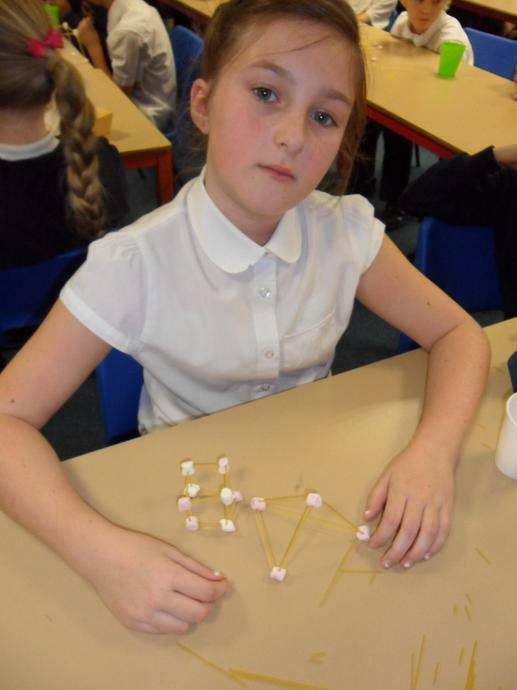 Miss Taylor acted as a reporter and interviewed us to get an eye-witness account of what happened. 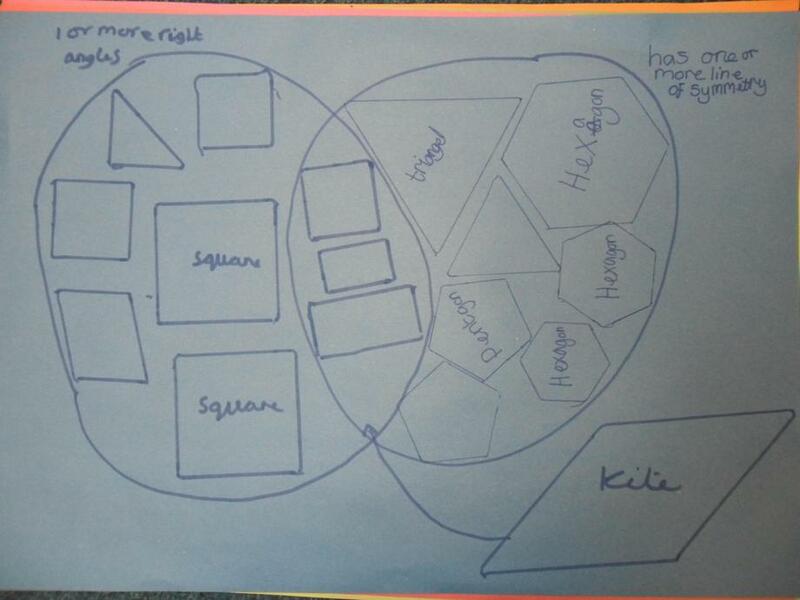 We will be using all of this information to help us with our Big Write on Friday!